Totem acts on the principle of additional weapons, it is able to give you beneficial effects and help in a given situation. Anything can happen to you - falling into water or lava, falling from a rock or meeting a dangerous mob, anything. It is in such cases that totems are irreplaceable things that protect their owner. In the original Minecraft PE, there is only one totem, but it's not interesting. 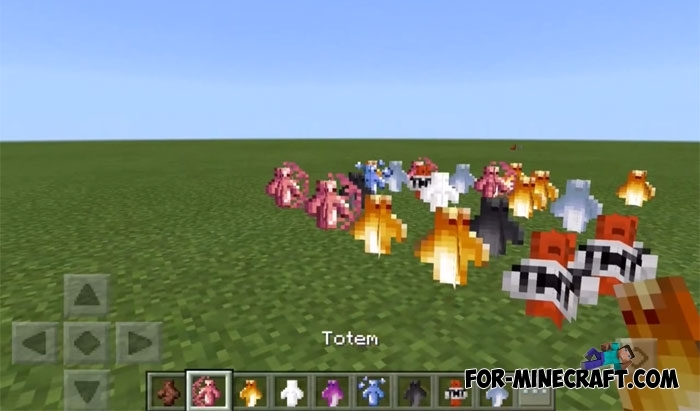 The More Totems addon adds more than ten new totems that are filled with useful properties and effects. Take the desired totem with you and you can forget about the underwater breath, fire resistance and other properties. Where to find the totems? 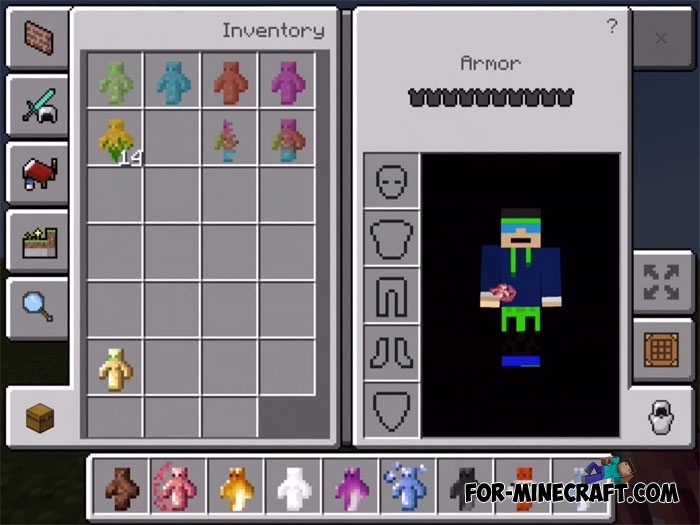 Kill mobs and pick up new totems, they will be useful for further crafting. 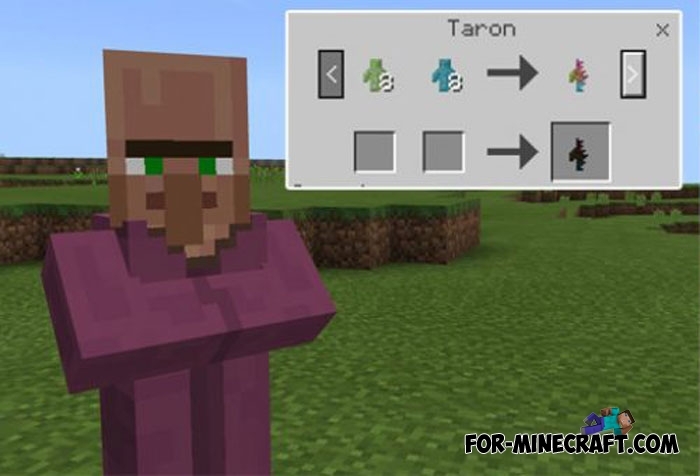 In the world there is only one person who can create new totems and this is a new type of villager. Find him in any village and try to exchange a few items for the totem. As you can see, the More Totems addon does not spoil the survival and harmoniously fits into the framework of the game. How to install More Totems?